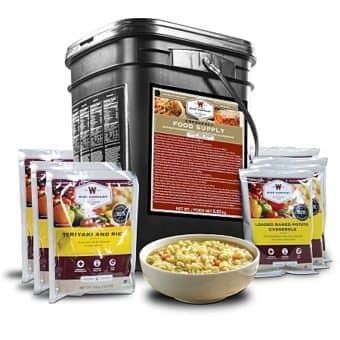 All our favourite freeze-dried food brands are together in one delicious bargain. Not sure whether you want Wise Food’s fuel efficiency and incredible flavour, or Legacy Food’s unbeatable serving size and non GMO ingredients? Why not have both? Variety is the spice of life after all! 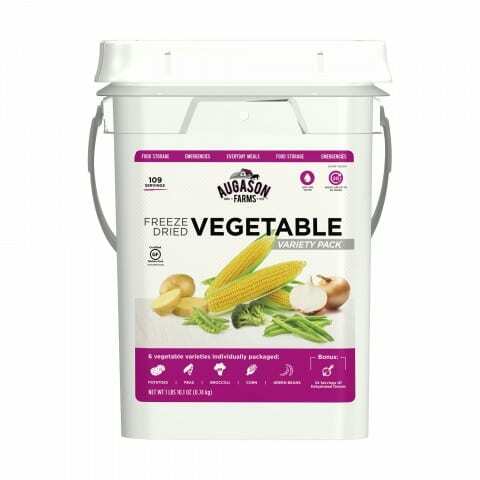 To add extra vitamins and nutrients this package also includes an Augason Farms Fruit and Veggie Variety Pack. 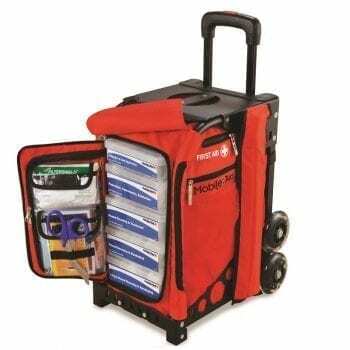 All of these packages have shelf lives of up to 20-25 years! This package provides 4 people with 3 servings of food per day for 20 days, PLUS nutritious and delicious fruits and vegetables. These tasty Legacy Meals have no Trans Fats, no added MSG, no Cholesterol, Low Sodium, and are vegetarian friendly! 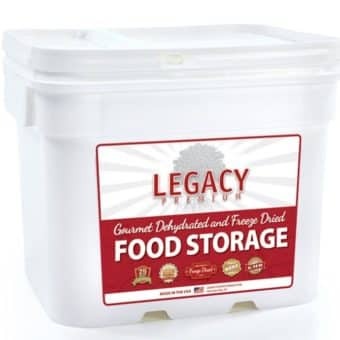 With a 25 year shelf life and the largest serving sizes in the industry, Legacy Food is an awesome addition to any Food Storage setup. Meals come packaged in 4-serving Mylar pouches with an Oxygen Absorber and are nitrogen flushed. 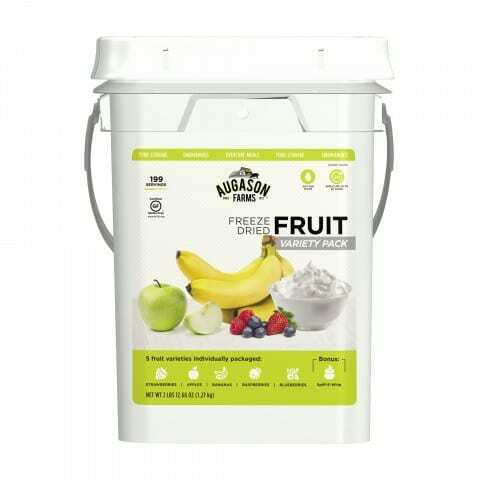 Mylar pouches are stored in a heavy-duty, stackable, BPA free plastic bucket. An in-store taste test had us going back for seconds! 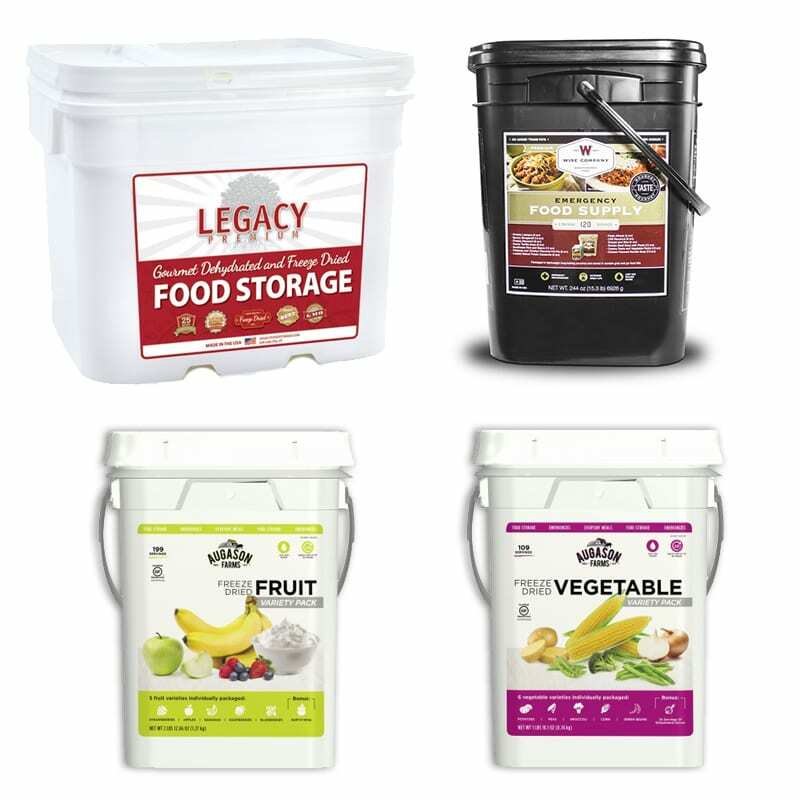 Wise food has a full 25 year shelf life and comes in 4 serving pouches. Wise food does not need to be simmered, it can be added to boiling water, covered, and removed from its heat source, helping you save valuable fuel! Meeting your daily fruit & vegetable requirements has never been more convenient. 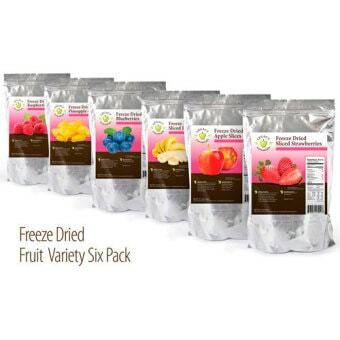 The Freeze Dried Fruit & Vegetable Variety Pack makes it easy to use in your favorite soups, salads and side dishes. 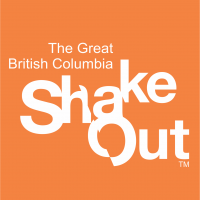 You might find your eating healthier in an emergency than in day-to-day life!